Amnesty International Poland is actively seeking for a Junior Researcher who will provide support to Human Rights Education Team in administering M&E tools among the teachers and students involved in the global education project START THE CHANGE! Act as the local contact for any activity related to the social research, interacting with teachers, Amnesty International Poland project team, and social research managers. Translate the research materials and communications from English into Polish, respecting the guidelines suggested by the research managers. Monitor the survey administration and the data collection respecting the deadlines established with project coordinators. Ensure a timely intervention in resolving any issue during the social research process. Provide to the research managers periodic reports about the social research (skype calls, written reports). Communicate with and report to Amnesty International Poland project coordinators. Degree (or close to graduation) in social sciences (preferably Psychology, Sociology, Educational Sciences). Basic experience in applied social research (e.g. internship, applied thesis, workshops). In-depth knowledge of social research methodologies and tools (questionnaires, interviews). Proficiency in English and Polish, ability to translate from English into Polish and vice versa. Ability to work independently respecting guidelines and deadlines. Civil contract (umowa zlecenie) for the period January-December 2018 with possible future cooperation. Expected level of involvement – approximately 32 hours in total. Gross fee of 2500 PLN. If you are interested in the position of Junior Researcher, please submit your CV and cover letter in English by January 22, 2018 via e-mail: rekrutacja@amnesty.org.pl. Please indicate clearly on the subject line of the e-mail the position you are applying for. Amnesty International is an Equal Opportunity Employer, committed to diversity in the workplace. Women and minorities are encouraged to apply for opportunities that are available. The project START THE CHANGE! 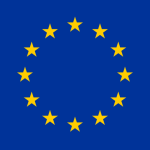 is finance by European Commission.